If you would like to practice memory forensics using Volatility but you don't like command line tools and you hate to remmber plugins then VolUtility is your friend. 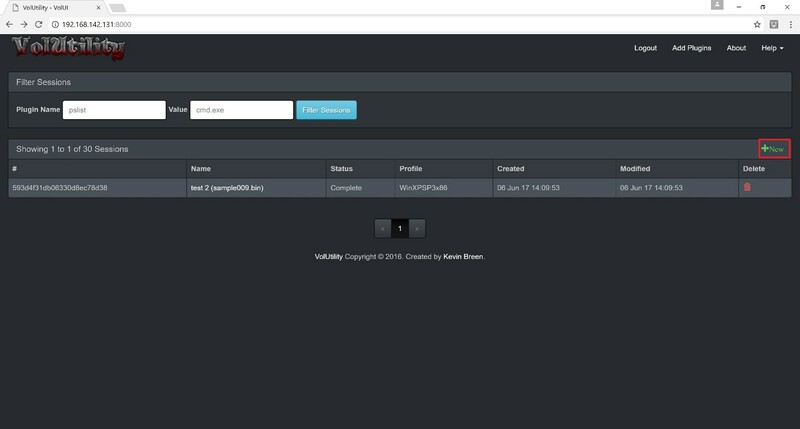 Volutility1 2 is a web frontend for Volatility framework. In this dairy, I will install VolUtlity on Linux SIFT3 workstation. 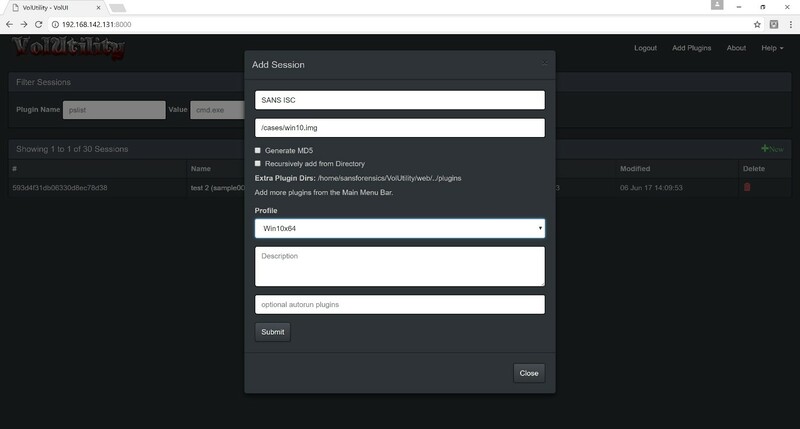 VolUtility operates on the principal of sessions. Each memory image has its own session that is used to track all the plugin results and associated data. 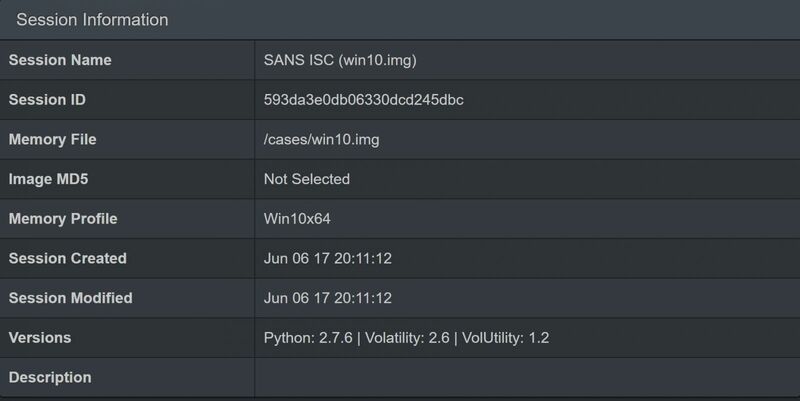 To examine the image click on the session name , in this the dairy it’s “SANS ISC” . Once you click on the session it will take you to a new page. To run a plug in you type the plugin name in the Filter Plugins text box and you can run it by clicking on the Play button . And you can of course filter your result using tools such as MS Excel.